The World Squash Federation has hailed this weekend’s finale of the Cathay Pacific Sun Hung Kai Financial Hong Kong Open as a major success – which not only produced two sparkling finals featuring the world’s number one players, but also hosted representatives of the International Olympic Committee who were ‘inspecting’ the event with a view to assessing the sport’s credentials to join the 2020 Olympic Games programme. After a rain-affected semi-finals session on the Saturday, the two finals brought the 27th staging of the World Series championships to a glorious climax outdoors on an all-glass show court erected at the Cultural Centre Piazza on the Hong Kong waterfront at Tsim Sha Tsui. Nicol David, the Malaysian superstar who has topped the world rankings since 2006, won her eighth successive Hong Kong title after beating surprise French opponent Camille Serme in the women’s final, and Egypt’s 2010 champion Ramy Ashour successfully regained the men’s title after deposing defending champion James Willstrop, the world number one from England, in the other final. “I could not be more happy with this weekend,” said WSF President N Ramachandran. “The Hong Kong Open is an impressive event, superbly managed by the Hong Kong Squash Federation and we were honoured that the IOC Programme Commission chose to come and evaluate it. 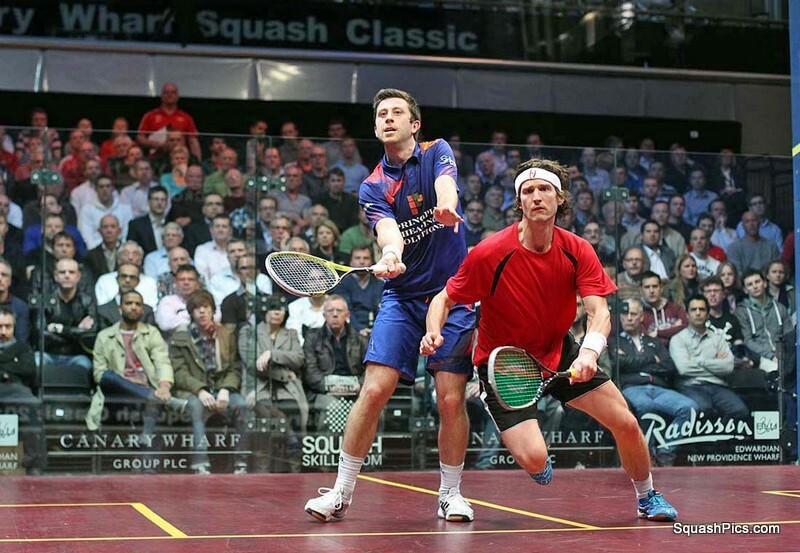 “While it is not one of our largest events by capacity, it has been framed to bring squash to the public; and the placing of the all-glass show-court on the Avenue Of The Stars at the Harbour certainly did that. Walter Sieber, one of the two IOC Programme Commission representatives, said: “We were able to make a very thorough inspection of the way the event was organised, taking into account the needs of the athletes and coaches. Naturally, we also wanted to assess how the glass court is helping to present the sport for broadcast purposes. After winning her 40th successive match in Hong Kong since 2003, Nicol David added: “I am so glad that the IOC inspectors could come to see such an amazing setup that is done here every year. For us players to play on the waterfront is wonderful – and they get to experience it too.